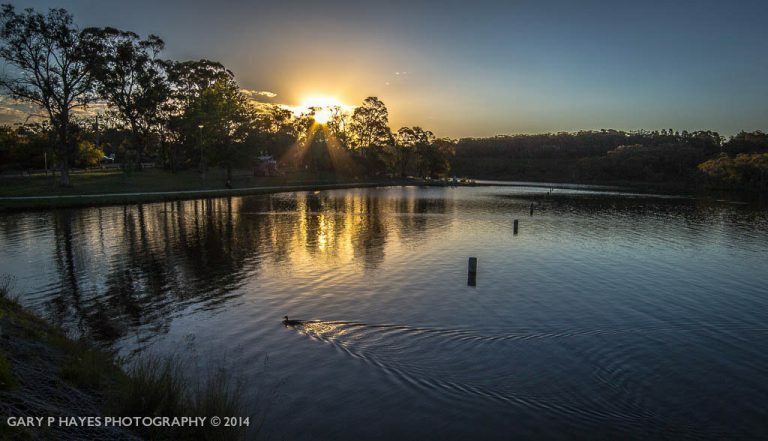 ABOUT: One of the few accessible lakes in the Blue Mountains which is actually a small dam’d reservoir. It is very popular with the locals, including me, for picnics or family walks and it is really a park atmosphere with very little of the rugged mountain feel elsewhere. There are a range of vantage points on the walk that goes about 60% around for sunrises or sunsets, but best as the sun sets on the road side of the lake taken from the more rugged side, but limited a little for foreground interest at sunrise. PHOTO EQUIPMENT TO BRING: 16 – 35mm range is best to cover a wide expanse of lake and foreground. The far side of the lake has good foreground opps so make sure you walk across the dam and onto the boardwalk area. Tripod for sunset and lookout for duck foregrounds too. The left side of the lake is the only option for sunrise. Tripod for long exposure sunrises but lookout for ducks that can become blury elements! GETTING TO THE SPOT/S: Lots of parking space opposite the lake on Sinclair Crescent.